In the east end of Glasgow during the 1980s there were epic conflicts between warring ice cream truck operators over turf that came to be known as the Glasgow Ice Cream Wars. These conflicts resulted in regular occurrences of violence and intimidation, usually on a daily basis. This culminated in the deaths of six people from the family of one van driver. The Strathclyde Police earned the nickname the “serious chimes squad,” as opposed to the “Serious Crimes Squad,” from the public for their alleged failure to address these crimes. The twenty year court battle that followed was one of the most controversial in Scottish history. During these conflicts, ice cream vendors raided one another’s trucks and fired guns through each other’s windshields, behavior decidedly more violent than what is normally seen between ice cream salesmen vying for the same routes. There was more than just the sale of ice cream at stake here, however. A number of these vendors were using the sale of ice cream as a front to sell stolen goods and illegal drugs, and the violence was a byproduct related to these activities. Matters came to a head on April 16,1984 when six members of the Doyle family were murdered by means of arson in the Ruchazie housing estate. The reason for this carnage was that 18-year-old Andrew Doyle, also known as “Fat Boy,” had refused to be coerced into distributing drugs along his route, and also resisted any subsequent attempts by the local criminal element to take over his route. His refusal had already led to him having a gun from an unidentified assailant fired through his windshield. Since the shooting wasn’t enough to scare “Fat Boy” into submission, further action was planned. At 2 A.M., the door just outside of the top floor flat where Andrew Doyle lived with his family was covered with petrol and set afire, killing his sleeping family. The victims were James Doyle, 53; his daughter, Christina Halleron, 25; her son, Mark, 18 months; and Mr. Doyle’s sons, James, 23; Andrew, 18; and Tony, 14. The people of Glasgow were filled with outrage at this heinous crime. The Strathclyde police made several arrests over the next several months, eventually bringing charges against six individuals. 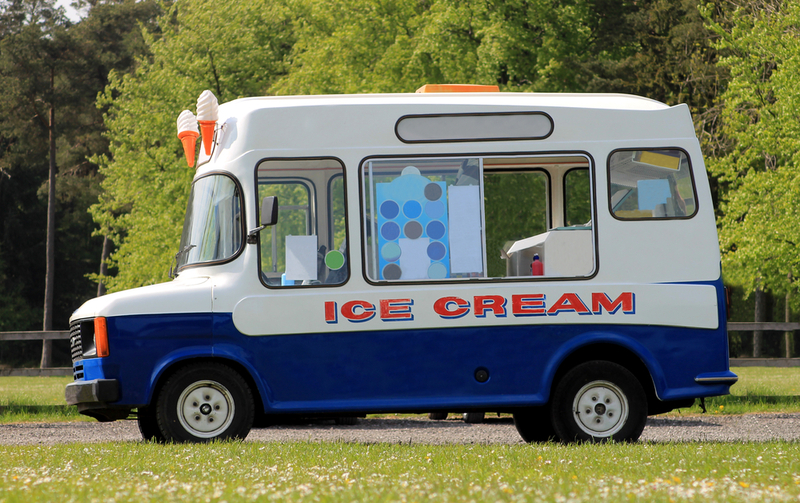 Four people were brought to trial and convicted of offenses springing from the Ice Cream Wars. Two other men, Thomas Campbell and Joe Steele, were brought to the attention of law enforcement by William Love, who allegedly heard the two men plotting to punish Andrew Doyle for his lack of cooperation. Campbell and Steele were convicted of the murders and sentenced to life imprisonment, of which they were to serve no less than 20 years. Campbell was also sentenced to ten years for the earlier shotgun attack that damaged Doyle’s windshield. From the moment they started serving their sentences, Steele and Campbell both initiated campaigns to prove they were innocent despite the outcome of their trials. After a bid for their freedom failed in 1989, the pair turned their attention to undermining the Strathclyde Police’s case against them. Two journalists named Lisa Brownlie and Douglas Skelton published a book in 1992 called “Frightners,” which was about the Ice Cream Wars. The most positive outcome of this situation for Steele and Campbell was the fact that when interviewed for the book, William Love signed three affidavits admitting that he had lied in the witness box at the trial, though he had nothing to personally gain by doing so. Mr. Steele engaged in a run of high profile escape attempts after Love’s confession, and attracted a fair bit of attention by gluing himself to the gates of Buckingham Palace. Around this time, Campbell went on a hunger strike, which brought him to the brink of death on several occasions. Following extended legal debate, the pair was released on bail late in 1996, pending a second appeal. The case came to court on the merit of Love’s confession that his testimony in the first trial had been false. However, the two men were refused the appeal, and ordered returned to jail in February 1998. Finally, on March 16, 2004, after a few more rounds of appeals, Mr. Steele and Mr. Campbell had their convictions overturned. Scotland’s most senior judge, the lord justice clerk, Lord Gill, said that the two men had been victims of a miscarriage of justice at their 1984 trial, and new evidence could not allow the original convictions to stand. There’s no jubilation, there’s no happiness here because there’s only losers in this case. The Doyle family have lost a family. We have lost our lives in prison and for 20 years justice has been lost. The evidence the two men was convicted on was flimsy at best, being mainly hearsay. But if we are to accept that Campbell and Steele are innocent of this gruesome crime, and it seems that we must, the question still remains – who killed the six members of the Doyle family that early morning in 1984?